The shunt regulator is making a stir in tube world, but details on its design and use are few and hard to find. This regulator topology was usually used in low-current, high-voltage applications, such as TV 30 kV power supplies. Thus, since this regulator was not used extensively even during the glory day of tube dominance, we must blaze our own trails, which might be a blessing in disguise, as the past practices often shackle rather than just inform. First let's start with a an overview. Both the series and the shunt regulator share about the same number of parts. And they share the same basic goals and functioning: a constant output voltage achieved by actively comparing the output to a voltage reference and adjusting the conduction through an active device such as a tube or transistor to bring that output inline with the reference voltage regardless of variation the wall voltage or variation in the current being drawn at the regulator's output. How they differ lies in how the components are arranged. The defining difference between shunt and series regulators rests in that the active element, the pass or losser device, works in parallel with the load, rather than in series with it. Yet this seemingly simple topological rearrangement alters radically the shunt regulators operational considerations versus those of the series regulator. 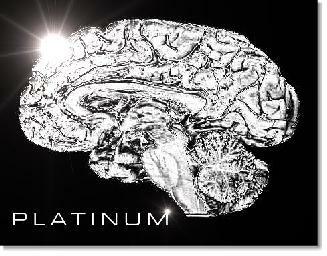 The Triode Guild scoops the MacArthur Foundation and awards your humble editor the coveted Platinum Brain Award for my contributions to the thermionic arts. I am deeply honored and my only qualm is that I am not sure whether I must donate my brain to medical research after or before my death. Tube based shunt regulators and tube headphone amplifiers are this issue's focus. Next issue we will revive of a lost output topology.